When thinking about World War One people automatically assume depression and hard times. Everything was dreary and no artistic passion was produced. 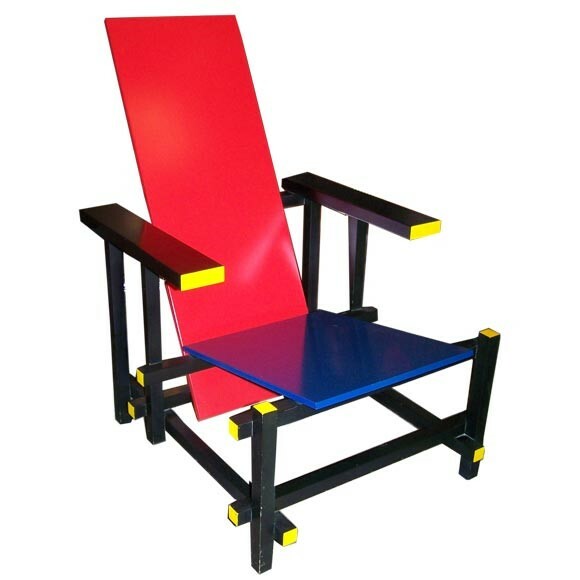 At least that would be my impression, but when reading about this red and blue chair that was developed by a man named Gerrit Rietveld (shown in figure 1) in 1917 in Utrecht, Netherlands. It sparked my interest because of the bright, bold color selection pallet and what I would perceived as modern style. This chair was a huge significance to art history and culture because it made people think about life and your emotions towards objects. Throughout some of my readings I came across an interesting segment that talked about opposite things that we want both of. Simplicity and excitement, and how do we incorporate those two things together even though they are complete opposites. Now a days we do it all the time, but back in the 1900’s this was a new trend that was arising. The original design of the chair was beech wood non-painted until close to 1923. A fellow architect noticed his unique design and inspired him to paint it to add more interest to the design concept. I like to think it did the trick. In my eyes a chair is a chair but sometimes colors can make you want to purchase one more so than another. The three primary colors chosen were placed upon the chair in specific locations that give it a transparent appearance to the structure when positioned against darker walls. The colors tend to pop and draw attention to the chair (shown in figure 2). This is where the opposites come in to play. The bold colors contrast the bland function of an everyday object such as a chair. I’ve once heard, “a chair is a chair, no matter how many ways you make it”, and it’s true. You make a chair to sit on, whether it is comfortable or uncomfortable, bright colored or plain, every chair in the world does the same job. So why did this chair stand out to me? Well I guess you can say I’ve always had an attraction to boldness and things that are over exaggerated. I tried to picture myself in the time of the war and all that comes to mind is sadness as well as dark dreary color palettes. But as you can see, this chair doesn’t have those qualities. It screams with excitement, passion, and creativeness. The construction of the chair is so very unique and eye catching that it makes you take a few moments to examine it over and over again until you have laid out in your mind how everything was constructed together and how it is supporting a person seated in it. The legs on the chair seem almost fragile in a way that they could break at any moment, but the angles of the bum rest and back rest give off a sense of sturdiness of the structure. Although it really doesn’t look overly that comfy I would still be tempted to try it out. Considering the time era it makes sense as to why there is no fabric or cushions designed into it. Things were too expensive and the longevity of the fabric would probably wear quickly or become far too unclean. As for future changes to the Red and Blue chair I would highly recommend adding some sort of cushion along the back and bum rest, just to make long sitting periods more comfortable. 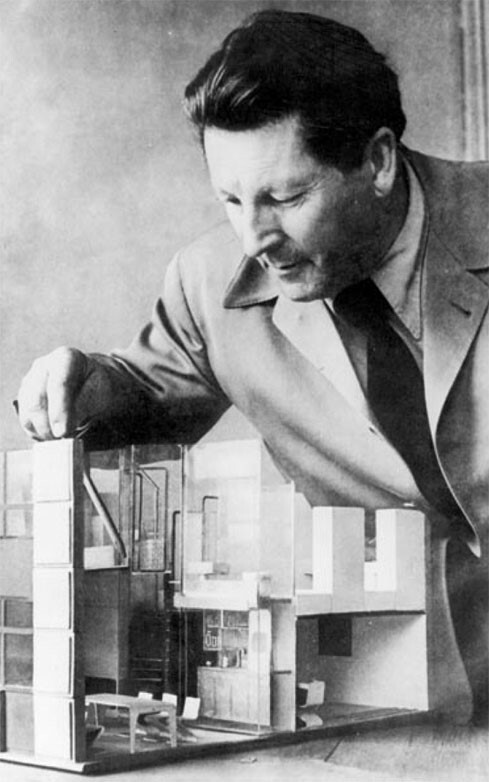 I’m highly impressed with Gerrit Rielveld for designing such a futuristic chair and for not being afraid to put himself and his designs out there to the public even if the society was not ready for it. The whole point of art is to further our creativity and to develop things that are unique. If we constantly mass produce art that is all the same we would never be able to progress as a culture. To expose yourself through works of art is a risky business but there will always be someone out there in the world who will love your idea, your creation, so even if it takes a while for people to come around to an idea eventually we will accept it and more forward. "Red and Blue Chair." Wikipedia. N.p. : n.p., n.d. N. pag. Print. Artists Rights Society, ed. "The Collection." Moma. N.p., n.d. Web. 2013. <http://www.moma.org/collection/object.php?object_id=4044>. Romeo, Anthony C. “Gerrit Rietvelds Red and Blue Chair.” Terrin Gallery. Anthony C. Romeo, n.d. Web.